We go through many instances of the cars colliding on a day to day basis but when the news headline carries the name of some celebrity we know, there is an extra bit of concern.The same applies for professional wrestlers. Getting involved in a car accident can be pretty horrifying irrespective of the person being a common man or a professional wrestler.There has been many lives and careers ruined by accidents like these and though the superstars are expected to carry a much expensive car than the rest, when an accident occurs, it’s all the same. 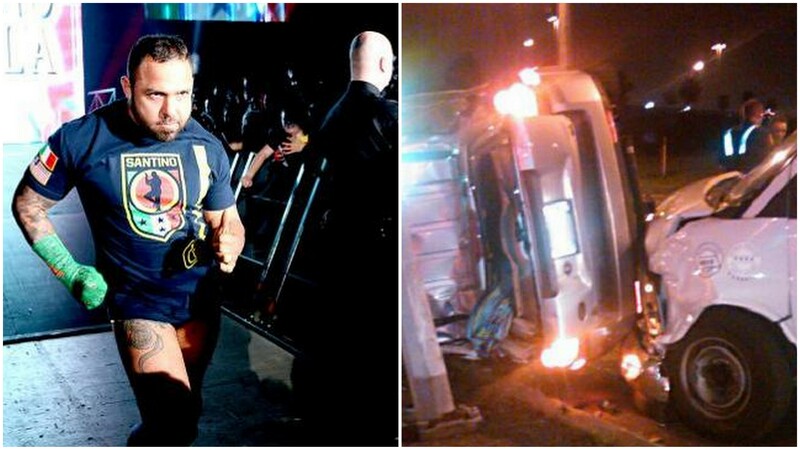 A handful of WWE superstars have been in car accidents throughout the history and here is a look at some of them. Fandango’s new dance partner Rosa was one of those divas who were lucky enough to escape cleanly from a car accident. The incident took place back in 2012 in Las Vegas and involved no less than five cars. The initiator was a Mercedes which repeatedly kept switching lanes and in turn causing a truck to stop and cause a series of collisions. 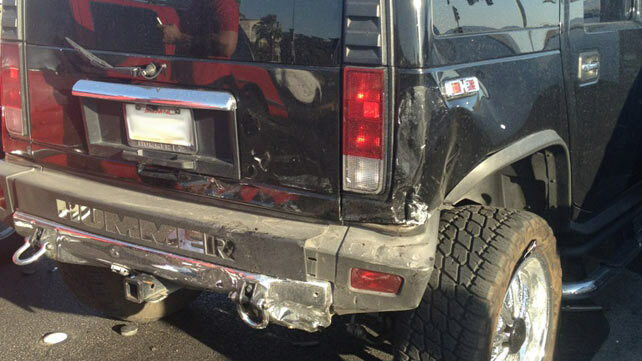 Rosa was a passenger on her friend’s Black Hummer and was rear ended by a car during the whole scenario. Rosa did suffer some heavy whiplash due to the impact of the collision but she did not have any serious injuries. Rosa was soon back in between the ropes but the situation would’ve been much worse if she wasn’t wearing seatbelts. Santino Marella’s career in the WWE was never seen as anything other than a comedy act. Despite this, when his retirement news came out, the fans were a bit disappointed since he was actually entertaining after all those stupid jokes he was made to say. Marella’s retirement was due to the neck problems he had but his career could’ve ended back in 2011 where he suffered a car accident. The incident took place on September 1st and Marella dislocated his shoulder. His car was actually flipped over by another car and the power of his car was still up which would’ve cause bigger problems. Marella however managed to escape with only a dislocated left shoulder. Jimmy was all over the news recently due to his untimed death. For the wrestling fans who still doesn’t know him, he was one half of the legendary tag team Heavenly Bodies which was managed by Jim Cornette. The tag team had its run in various promotions like Smoky Mountain Wresting, ECW and WWE where they had some high profile matches at Survivor Series and WrestleMania. Jimmy is not probably a big name that will come up when the history of wrestling is read but he cannot be ignored either. Del Rey was injured in a truck accident on December 6 this year. He lost control of the vehicle and struck a lamppost after which he fit a fence around the Florida State Fairgrounds. The doctors couldn’t save his life as he died just hours after the accident. These three men make up one entry instead of three separate ones because it was the same accident and the same car. The trio was travelling in a limousine back in July 2012 as they were transported to the comic-con at the San Diego Convention Centre. The limo was rear ended big time by another car during the journey and the then United States Champion, Ryder went on to hit his neck on the chair while Roberts and Ziggler went flying. All three superstars escaped the accident without any major injury and the thing they should probably thank is the size of the limo as it was long enough to cut out the impact. Lillian Garcia would most probably be one of the most unsung names in professional wrestling ring announcing. She has been in the business for nearly two decades now and still looks gorgeous for a 48 year old. She had excellent spells in WWE and success outside it as a singer but October 26, 2012 would be a day that Lillian would love to forget. 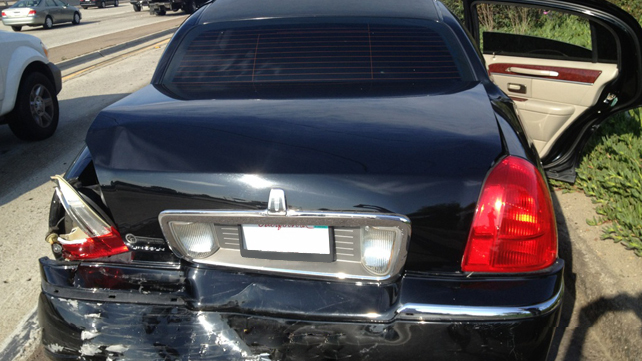 Lillian was hit by a car in Los Angles on that day and survived the crash with some serious injuries. She has multiple contusions and laceration on her left side and require two whole months to recover from the horrific injuries. Before Eddie made it into the WWE, he was one of the brightest stars in WCW’s payroll. Eddie delivered some great matches for the promotion before eventually walking out of there due to the limited chances they got. 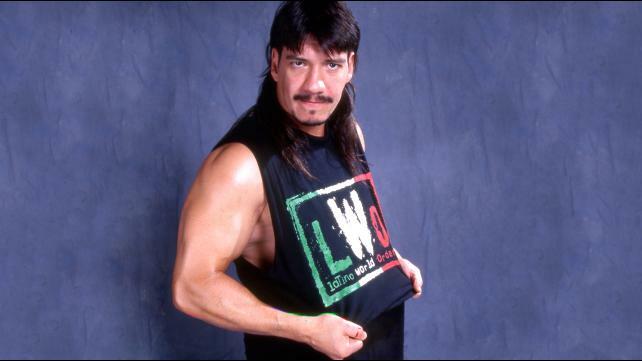 One of the angles that WCW ran with Eddie was the Latino World Order. It was a rip off of the original New World Order angle and had a handful of Mexicans as part of the stable including the lights of Héctor Garza and Damien. This angle came to an abrupt end, when the LWO leader Eddie suffered a real life car accident on the New Year’s Day of 1999. He wasn’t seriously injured and Eddie made it back to the ring in a matter of months. Randy Orton should be the poster boy for all those wear helmet disclaimer messages out there because if it wasn’t for his helmet, we wouldn’t be still having him around. While most of the other cases in the list had a wrestler driving the car, this is an exception. Orton was driving a motorcycle near his home and struck a curb due to a car that veered into his lane. The viper ended up 300 feet away from the place of impact and was knocked unconscious immediately. He did manage to cling on to his life thanks to the helmet he wore but Orton’s collarbone wasn’t lucky enough as it was broken. He came back and gave some strong showings after that but there is always a big what if situation. 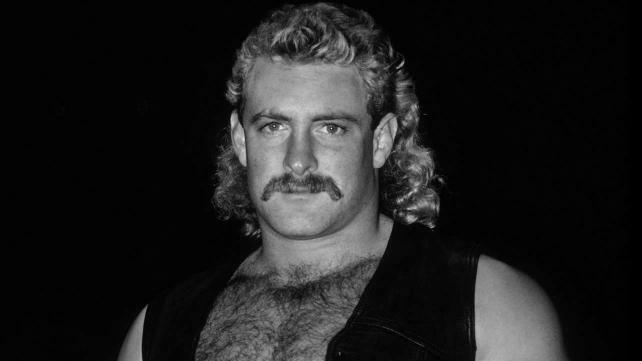 Magnum TA is a name that won’t ring many bells to the modern WWE fans. This is because is career ended just before it was going to take off. 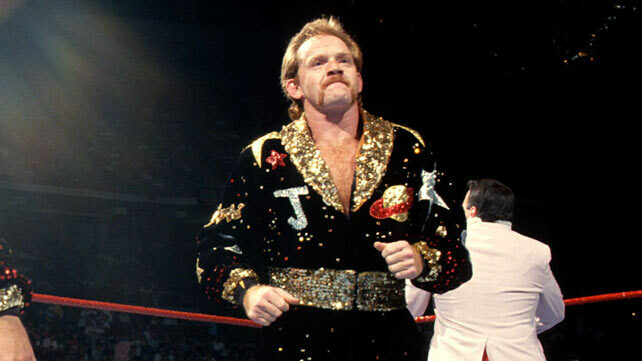 Magnum had the looks and skills to be a main event player and he was drawing praise from everywhere. There were people in the business who wanted to build him up like Hulk Hogan but all those expectations fell flat when he drove his Porsche under the rain. The rain made Magnum lose control and he eventually ran into a post. His vertebrae literally exploded due to the accident and many doubted whether he will walk again. He did walk again but the wrestling career of Magnum never resumed. 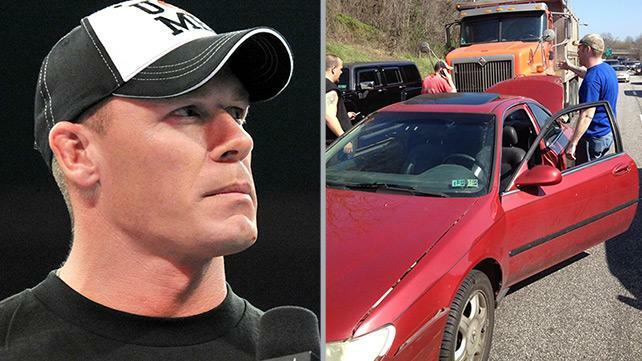 The Cenation leader also tasted what it’s like to be in a car accident when his SUV was rear ended up a trailer. Those who are familiar with rear ending would know that it’s not the worst case of accident but what puts Cena up in the list is the chaos this caused. The accident happened in Philadelphia in 2012 and thanks to the rear ending that happened with the 15 time champion, the bystanders got to see a 3 way chain reaction crash involving another Acura alongside Cena’s SUV and the trailer. Cena escaped the accident without any serious injury but since we know the seriousness of car accidents, just imagine how the WWE would’ve shaped up if Cena’s wrestling career ended there. The car accident story of Randy Savage is arguably the saddest on from the lot. After having a Hall of Famer worthy career in the wrestling business, Savage slowly started taking a break from the wrestling scene as he got older but there were still some good years ahead of him. Those years were cut short however by an accident that happened back in May 2011. 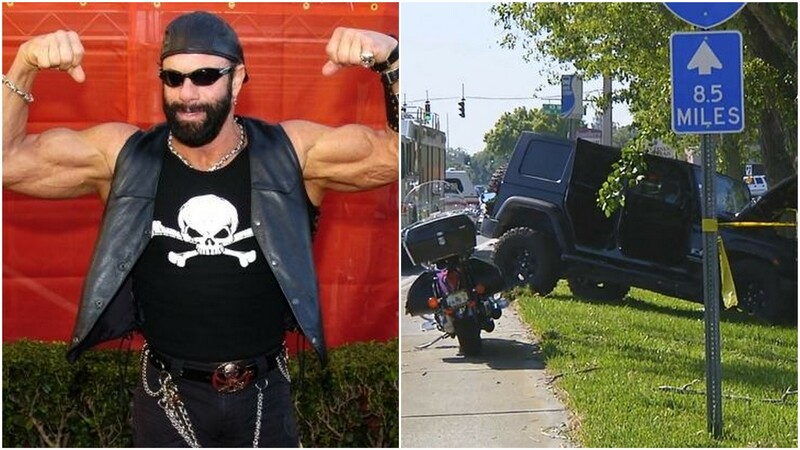 Savage was driving his 2009 Jeep Wrangler alongside his wife and the former superstar suffered a heart attack which in turn made him loose control of the vehicle. The car crashed into a tree on the road side and Randy was pronounced dead just hours later. His wife, Lynn Payne escaped with minor injuries from the accident but Savage wasn’t lucky enough.